We all love a spring wedding but it can be hard getting the right theme if we wish to have one outdoors or in the right venue to match the season and your personal style. Here is my guide for planning a Spring wedding. This goes on top as the most important thing to arrange next to the wedding dress or wedding outfit. Finding a nice venue that reflects both of your tastes is important. Now if you’re lucky enough to have a big plot of land or own your own sim you can have your venue decorated in the style you wish it to be. Officiants and be found in SL if you know where to look. Just ask a friend who got married where to find a good vicar, priest, minister or preacher to officiate your wedding. 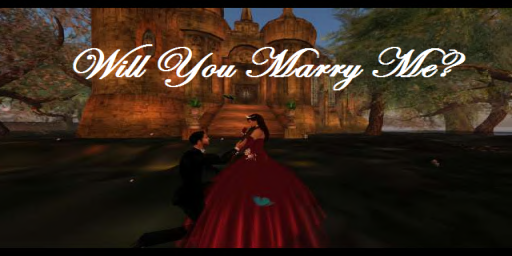 If you don’t know anyone that has gotten married in SL, you can simply type in either of the titles in sl classifieds and you will get a list. Here is a list of some I found. Keep in mind, things often chang in Second Life. So please do contact them to see if they still offer their services. He is available for officiating your wedding, vow renewal, elopement or commitment. 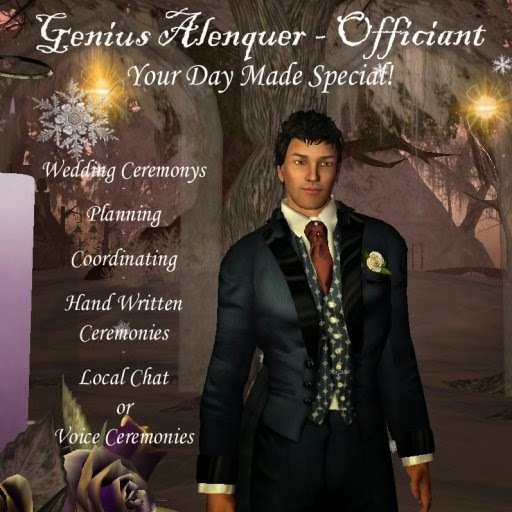 Genius can do a traditional Christian, Catholic, Non-religious, Spiritual, Medieval, Native American, Vampire/Lycan, Coronation or Hand Fasting ceremonies, or he can write you a ceremony tailored to your day. He is available in most time zones, most days and is dependably on time. Understanding your needs, desires and special requests and he is able to work with "on the fly" circumstances. Ceremonies in local chat or voice, either through SL Voice or Shoutcast,. 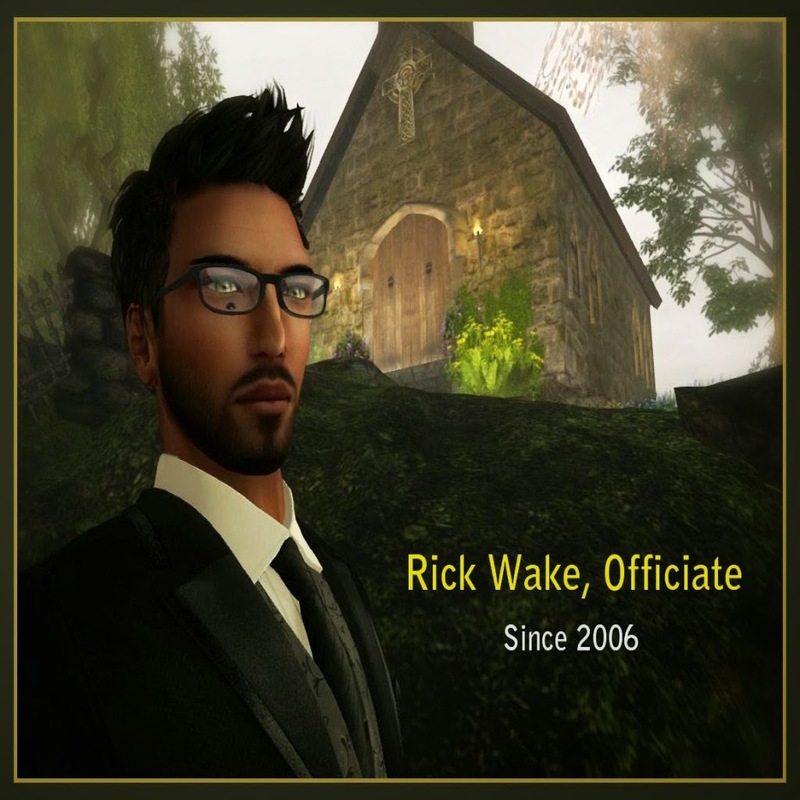 He has been officiating since June 2006 and has had the pleasure of joining over 2000 couples in Second Life. He offers dependability and the experience to understand your personal needs to give you the ceremony you'll treasure forever. Rick is available to officiate at any location or he has a locations to offer you if needed. 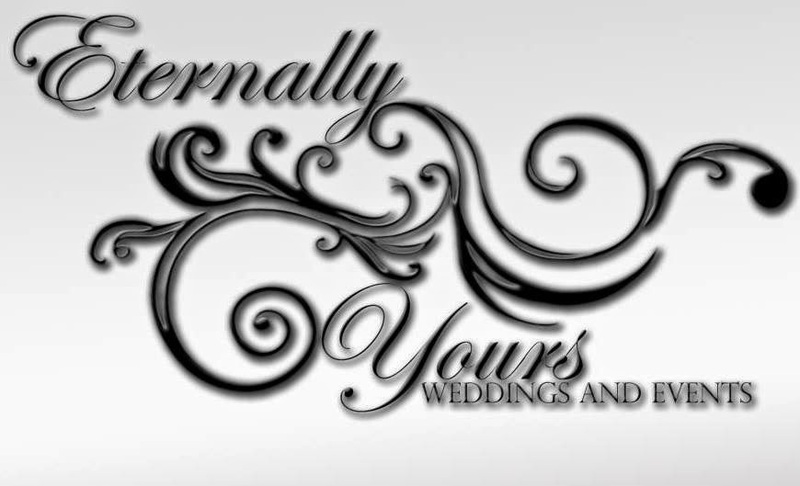 If you do choose to have your wedding at a venue, Eternally Yours strives to bring you the best organized weddings on SL. They provide full planning and consultation to make your special day run smoothly. They also provide multiple packages to suit your needs including a quick elopement or a huge formal affair. Now that you have the venue and officiant sorted out. Let’s have a look at some details like the flowers and cake. Hopefully you have your dress and rings before you focus on this part of planning. In Second Life there are a lot of flower shops to choose from but finding that right shop and your favorite flowers can be a challenge. Think about what you need and consider the venue and color theme. You want to have a matching theme not only in the wedding venue decor but also as your bouquet and your bridesmaids’ bouquets. They are all made of sculpted flowers with detailed, realistic textures, composed in harmony, to provide your wedding day and wedding outfits the beautiful finishing touch. 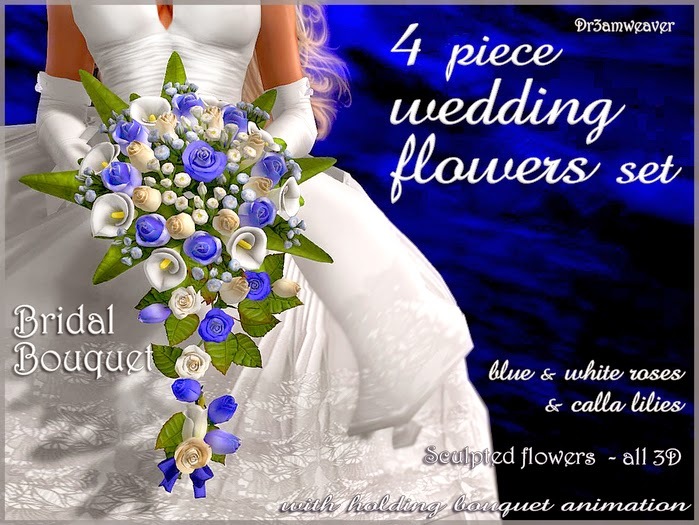 The bouquets contain an animation that will work with your own, personal AO while standing and will NOT mess up your walk, stand and kiss when you get on the balls for the ceremony. If you wish to have an interactive wedding cake, I suggest looking for one that has animations for cutting it as well as serving pieces to guests. You can have your own cake customised as well. 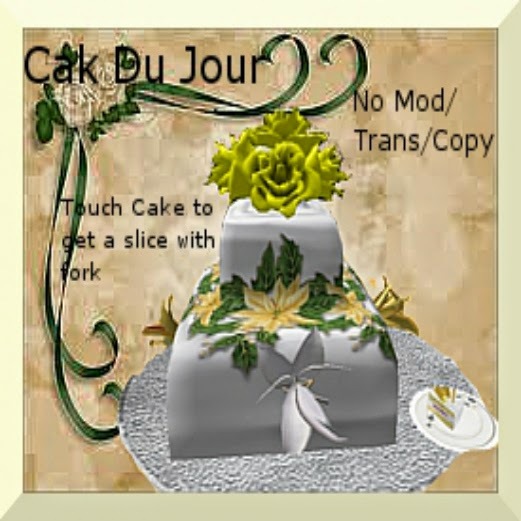 There are a few cake creators in sl that can do this for you. One I know who makes fun and lovely cakes is Cake Du Jour. Cake Du Jour make simple yet elegant and classy cakes for weddings. They are done by order only and have to allow 3 weeks order in advance. However, they do have a few cakes on marketplace which you can either purchase or will give you an idea of what kind of design you are looking for. 450L upwards depending on design. I hope SLE helped you get in the mood for planning your Spring Wedding. Once you have everything planned for your big day, the only thing that is left to do is planning for an adventurous Second Life together. Congrats to all the newly engaged couples out there. Cheers and have a lovely spring wedding!